A dedicated minor hockey volunteer for 40-plus years, Rob Ring culminates his five-year tenure as OMHA President at the conclusion of the Annual General Meeting taking place this weekend. Growing up in Collingwood, where he still resides today, Ring started playing Collingwood Minor Hockey at seven years old all the way through to Juvenile. He won an OMHA Championship in 1972 with the Minor Midget A team and with the Juvenile A team in 1974. At 20 years old, Ring started coaching in Collingwood before transitioning to the Collingwood Minor Hockey Board of Directors where he held a number of roles over 17 years. Ring served as the Georgian Bay Area Convenor to the OMHA for four years starting in 1994 and was then nominated for the Area H Regional Executive Member position on the OMHA Board of Directors where he spent 10 years in that role. 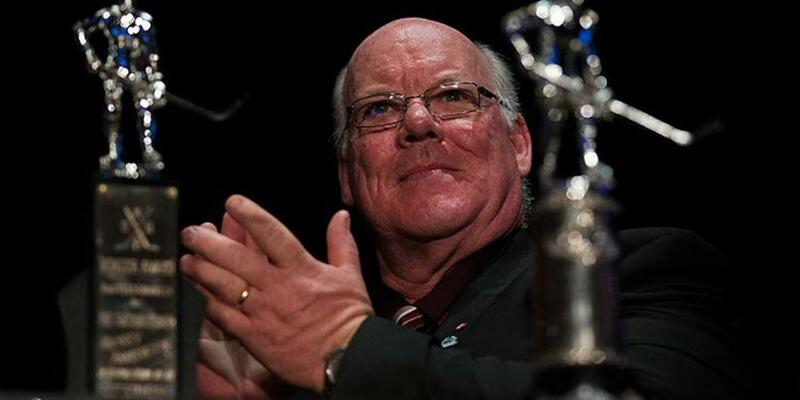 He was the Vice President – Eastern District for five seasons and became OMHA President in 2013. There are a number of personal accomplishments that Ring has earned away from the rink that show his true dedication to volunteerism. He was the recipient of the OMHA Honour Award in 1995. The next year, Ring was awarded the Order of Collingwood from the Mayor and was inducted into the Collingwood Sports Hall of Fame as a Builder. He now sits on the Collingwood Sports Hall of Fame Selection Committee. "One thing that I’ve always maintained, not just as the President, I felt that if change is necessary, it should be at least considered or looked at. Not change for the sake of change but if it made the game better and benefitted kids, that was my objective." Some of the achievements that Ring helped guide as President along with the Board of Directors include creating a Strategic Planning Ad-Hoc Committee to review OMHA Governance for efficiency and to ensure compliance with Ontario Not For Profit Act, as well as partnering with Respect in Sport. 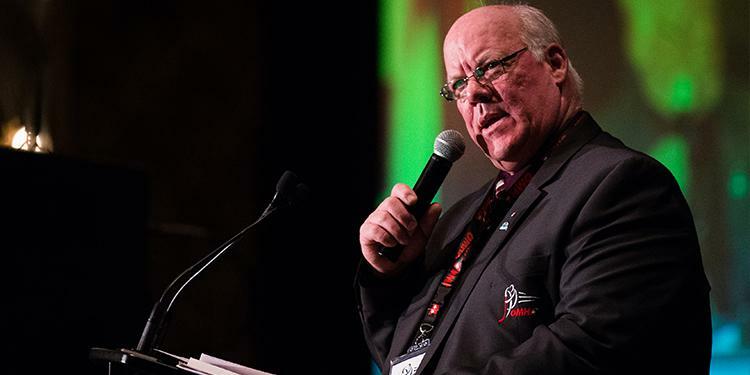 Ring was at the helm in creating the President’s Council Ad-Hoc Committee in which 13 Centre Presidents considered current issues and generated ideas to improve hockey across the OMHA. Additionally, pilot projects such as the Midget Hockey Review Committee became permanent policy. Currently there is a two-year pilot project underway with some centres that relax residency rules to address registration numbers and competitiveness. He is most proud of the recommendations by the Strategic Planning Committee and the OHF LOR Regulations that the Board was able to change. “The passion and commitment that Rob has brought to the OMHA and to minor hockey really is a testament to his belief in the role that hockey and sports play in the lives children and the importance of community,” said OMHA Executive Director Ian Taylor. “He has done a great job managing change in our organization and was always willing to make decisions in the best interest of the player." Ring now moves into the role of immediate Past President, supporting incoming President Bob Hill for the duration of his term. Beyond that, Ring admits he isn’t quite sure what he’ll do with his time now. The Ontario Minor Hockey Association would like to thank Rob Ring for his leadership on behalf of our members, associations, players, parents, coaches and officials. 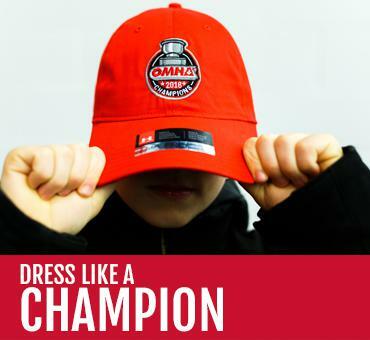 OMHA launches inaugural "Thank a Volunteer Week"